Pay only £20.00 Deposit today and pay the remaining balance in Kavos. 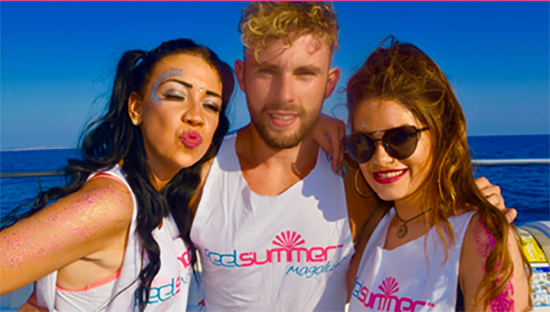 Welcome to Feelsummer - Kavos's biggest events company. 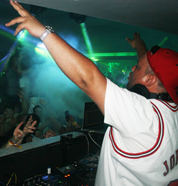 Established in 2008 Feelsummer are one of Kavos's longest and most established event companies. We pride ourself in offering a first class service where you and your friends can securely reserve your Kavos event tickets Online and simply collect them once your arrive in resort. We sell only the most crediible Kavos events. From the Kavos Club Pass, the award winning Pirates Reloaded, Stage Mallorca, BCM Planet Dance, Western Water Park, and sold out boat parties. 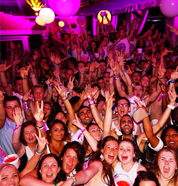 Remember Kavos is a very popular clubbing resort so make sure you don’t miss out by reserving your Kavos events online. Last summer over 250,000 holiday makers booked with Feelsummer and needless to say, they were not disspointed. This summer we now open the doors to an expected 400,000 holiday makers for Kavos 2018 and once again we'll be bringing you another sensational lineup of world class Kavos events - at the best possible prices. 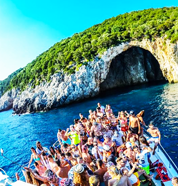 For all the latest news on whats happening in Kavos, the best Kavos Bars, Kavos Clubs, Kavos Events and Kavos Booze Cruises, checkout our Kavos News Page. Make sure to also check out Kavos’s official Events Calendar 2018 – here you can see what DJ’s, Celebrities and World famous Kavos Events are being held whilst you and your friends are in Kavos this summer. If you have any questions on events happening in Kavos this summer then please email carl@feelsummer.com or call us on 0800 009 6344. If your in resort then come and visit us at one of our many Kavos ticket shops and speak with a member of our team. This summer Trinity Live brings the biggest acts to KAVOS 2018, ever Sunday in Atlantis Arena. Trinity Live will open its doors late June 2018. 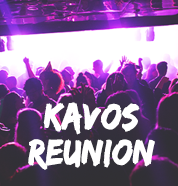 TRINITY KAVOS 2017 REUNION. Trinity would like to invite you to there annual SUMMER REUNION to be held at the No1 club in Preston. Known as the party capital of Greece, Kavos has become a popular holiday destination for holiday makers looking for a exciting clubbing experience. Going to party the summer away in KAVOS but don’t know what to bring in your suitcase? Follow our packing tips to make sure you have everything you need.